Each of us has certainly jeans in her closet that you no longer wear. Rather than throw them away, you have to conjure up a truly original stuff. Just a needle, thread and a little creativity. Whether you are a novice crafter or a advanced sewist, old jeans are a great starting point for a huge number of DIY projects, that range from charmingly primitive is sophisticated. In today’s post We present you 10 New Things To Make From Old Jeans that will inspire you to the remaking your old jeans into something really awesome. 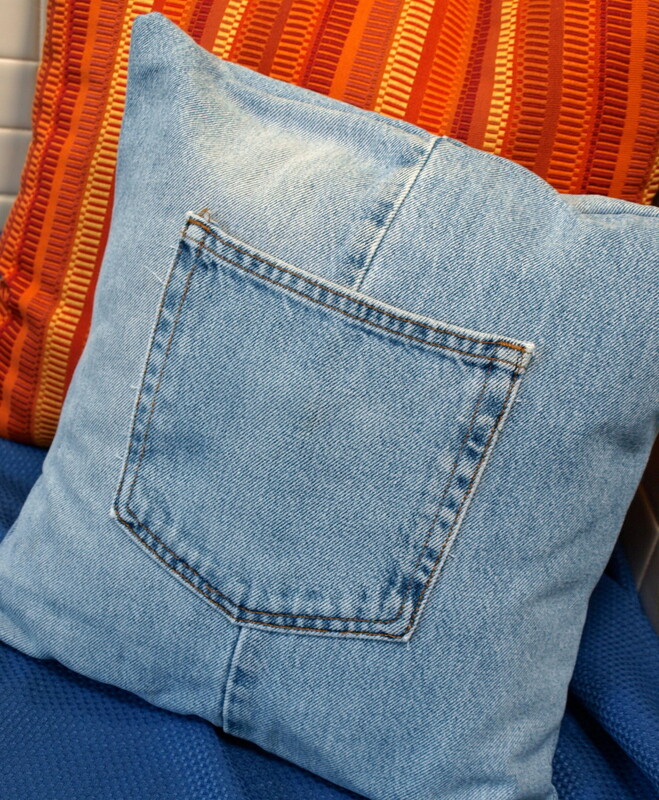 Cute denim throw pillow, perfect for my living room couch.